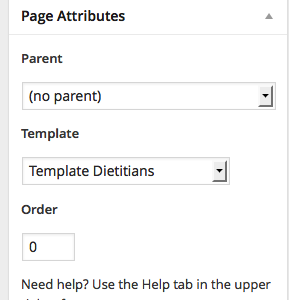 For every page you must select a template page in Attributes section. 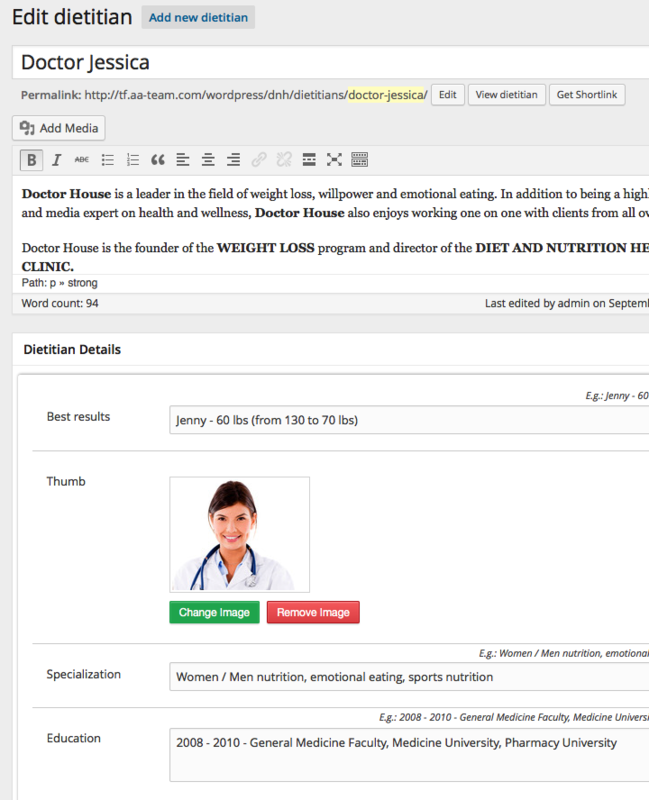 Select the template called Template Dietitians. The Dietitians have a custom post type also, It’s called Dietitians and it can be found in the left main menu.